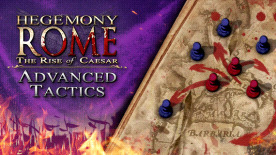 Enhance your combat skills and master the battlefield with six all-new advanced tactical units. Call forth the Parthian Horse Archers and Cataphracts to gain the upper hand. Or take advantage of the Gallic Ambushers’ knowledge of the terrain to launch deadly surprise assaults.